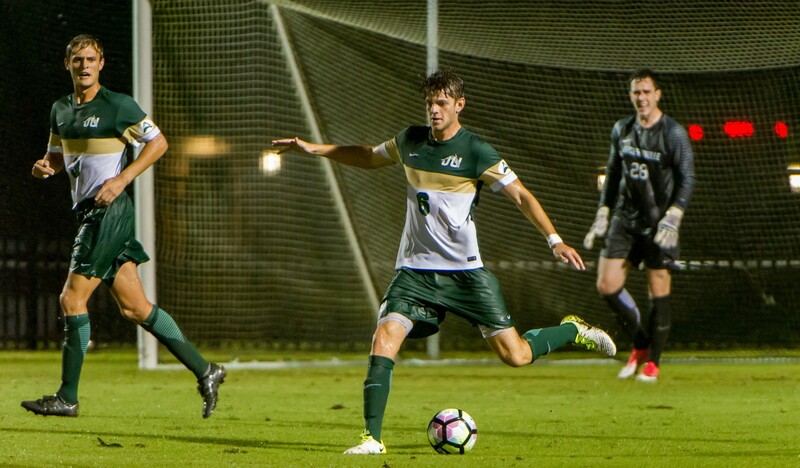 The Jacksonville University Men’s Soccer Elite Residential Camp is inviting all male soccer players 11 up to 19 years old. It is a 4-day residential camp from July 15 until July 18. Attendees in this camp will be given an exceptional opportunity to showcase their abilities while training under the watch of the Jacksonville University men’s soccer coaching staff. In addition, it will be a great head start to a successful collegiate soccer career. Sessions that will cover both the technical and tactical aspects of the game. Furthermore, the camp will prepare the athletes physically and mentally. Coaches from other top colleges and universities will also attend and impart their knowledge. This training program will accommodate both residential and commuter campers. Jacksonville University, initially Jacksonville Junior College, is a private, coeducational university in Jacksonville, Florida. It is a nonprofit institution that is serving around 3,200 undergraduate students and around 1,000 postgraduate students. It is part of the Independent Colleges and Universities of Florida. Additionally, the university is offering 7 undergraduate degrees and 12 graduate programs. As a whole, the university has an accreditation from the Southern Association of Colleges and Schools. The university is one of the region’s leading academic institutions. As a matter of fact, it is 52nd in Regional Universities South, 2018 edition of Best Colleges rankings. It is also 29th in Best Colleges for Veterans rankings. And, 46th in Best Value Schools rankings. Jacksonville University fields 18 intercollegiate sports teams in NCAA Division I, Atlantic Sun Conference. They are the Dolphins. Green and white are their identity colors. The Jacksonville University men’s soccer Head Coach since February of 2014 is Mauricio Ruiz. Under his guidance, the Dolphins has already an ASUN Conference Championship and a couple of NCAA Tournament appearances. Moreover, Coach Ruiz is a U.S. Soccer Federation “B” Coaching License holder. Then, Armante’ Marshall and Matt Loughnane are the team’s Assistant Coaches. The Assistant Strength and Conditioning Coach is Tim Boeni. Ben Froelich is the Intern Athletic Trainer. And finally, Cooper Welch is the Associate Director of Media Relations. Join the Jacksonville University Men's Soccer Elite Residential Camp. It will be a great head start to a successful collegiate soccer career.